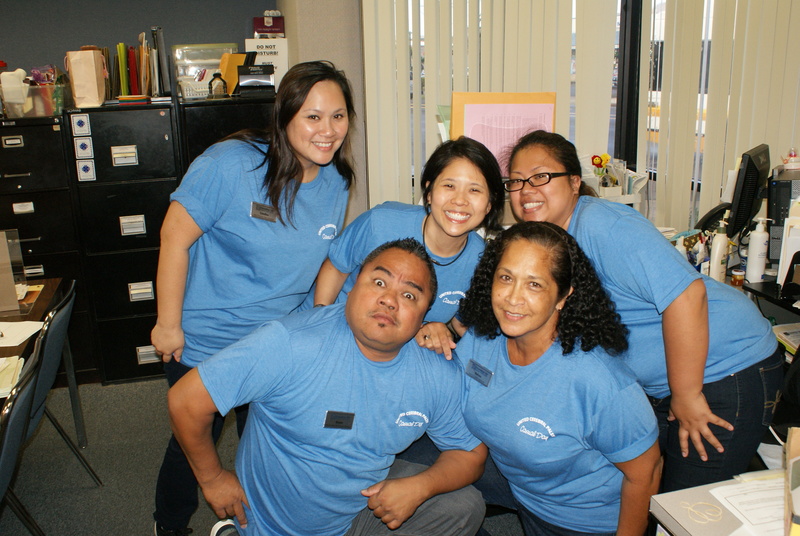 On Wednesday June 18th HiTel FCU employees celebrated the United Cerebral Palsy Casual Day in casual attire – Jeans, tennis shoes and the UCPA cotton blue t-shirt. There were 67 employees that donated to the cause, and it was definitely a treat for them to dress down for such a special occasion. UCPA of Hawaii is part of a nation wide network that provides educational programs and supports research in cerebral palsy. 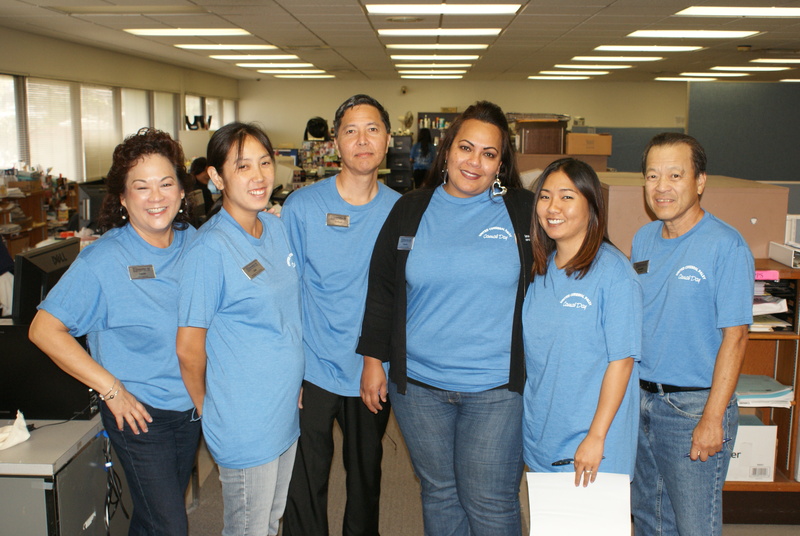 The credit union participates in their two biggest events, the other being the Hawaiian Rubber Duckie Race at the McCully Shopping Center. 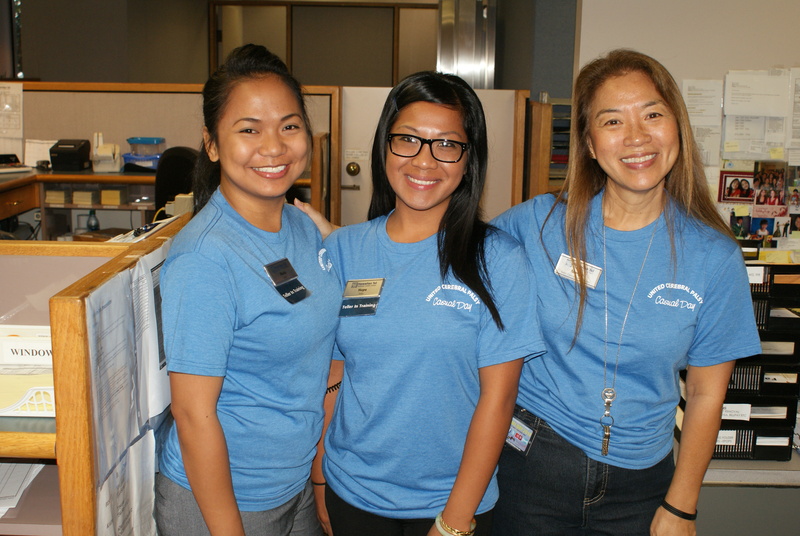 This entry was posted in CU News, Uncategorized and tagged Bishop Street, Casual Day, credit union, donations, Downtown, employees, ewa beach, finance, Fort Street, Halekulani, hawaii, hawaiian tel fcu, hitelfcu, honolulu, Kaimuki, Kalihi, Kapalama, kapolei, kunia, mccully, mililani, participation, Schofield, Sheraton, thank you, ucpa of hawaii, Wahiawa, Waikiki, waipahu, Wheeler AAF by Hawaiian Financial Federal Credit Union. Bookmark the permalink.